Cape Town was named the ‘World’s Leading Festival and Events Destination’ at the 2018 World Travel Awards that took place at the Pátio da Galé, in Lisbon, Portugal yesterday. This accolade was off the back of being voted ‘Africa’s Leading Festival and Events Destination’ in October. 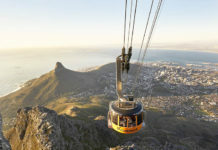 This is yet another milestone for Cape Town and this accolade is reaping the reward for the City’s Events Strategy that enables event packaging and promotion for the tourism industry. In turn, this means constantly looking for opportunities to promote Cape Town and bidding for the next mega or major event to further stimulate our local economy. City of Cape Town’s officials were part of an inter-governmental delegation that returned from Singapore this week where they presented Cape Town’s bid to host the 2023 Netball World Cup. ‘This award reaffirms our position as a world-class City and proves that Cape Town has what it takes to lead the way in organising and hosting events. Last week representatives from national government, provincial government, the City’s Events office and myself spent two days in intensive preparations and rehearsals to present the bid on behalf of Cape Town and South Africa, to host the 2023 Netball World Cup. It would be the first time on African soil and would be a milestone for the City, the country and the continent if we win the bid to host the largest women’s sporting event in the world,’ said the City’s Mayoral Committee Member for Safety and Security; and Social Services, Alderman JP Smith. This also means ensuring that we provide support during the event application process and our permitting system is effective. 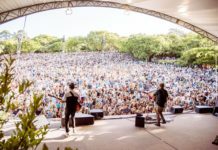 In the previous financial year, through the permit office, the City issued 1277 event permits and supported 180 events – this has quadrupled over the last five years. International cities recognise the importance of major events and Cape Town as the leader in the field. This success would not be possible without the partnerships the City has built with investors and event organisers. Next articleLet it flow, let it flow, let it flow! – Bengeula Cove adds more sparkle to their offering!